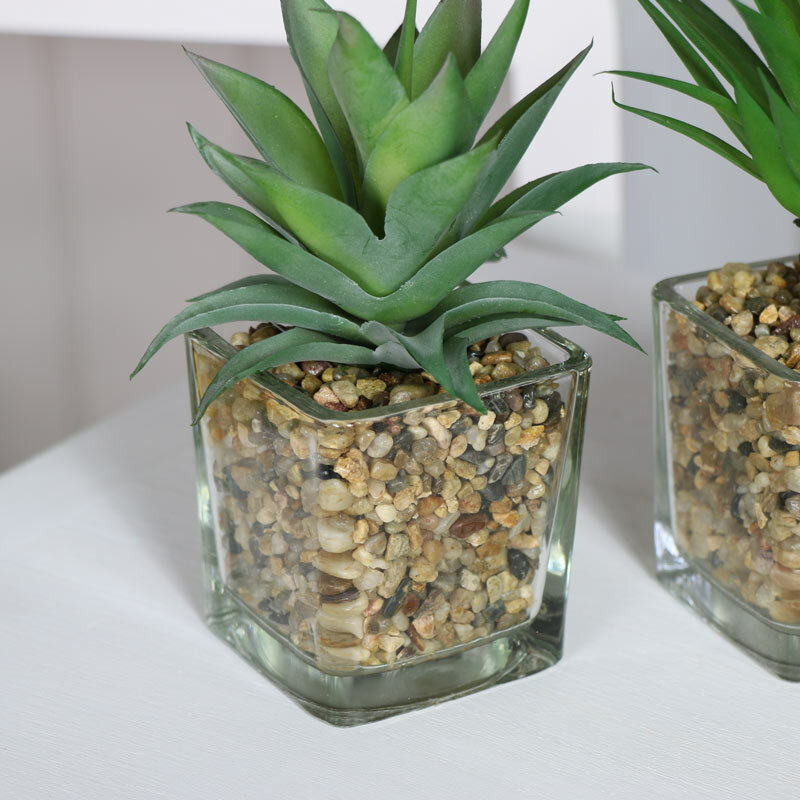 This trio of artificial plants is great way to add some greenery to your home but without the mess! 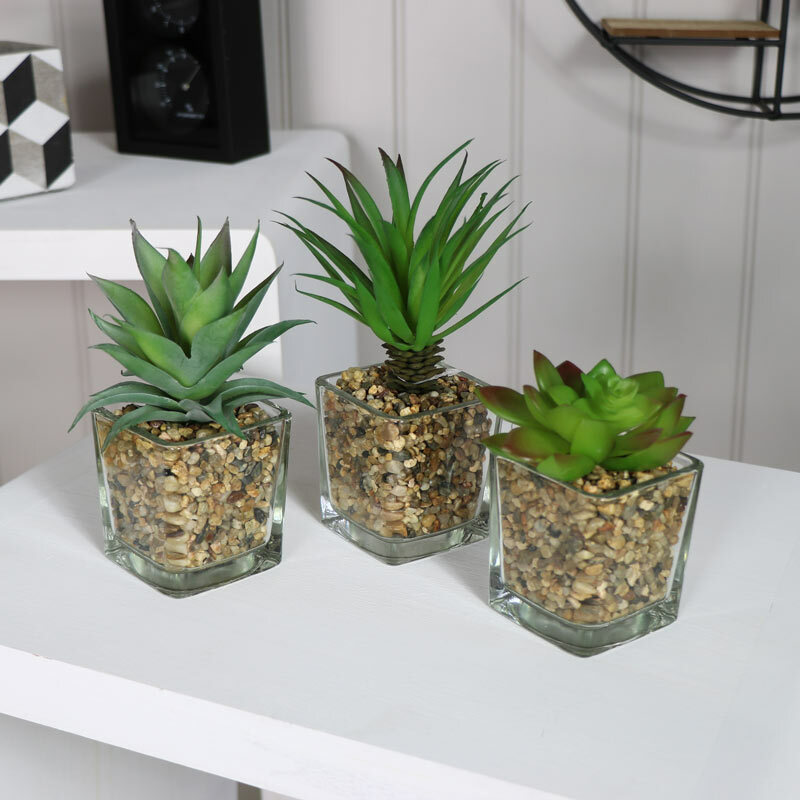 Each in a square glass pot, perfect for adding a little colour to your living room or hallway. These pretty little shrubs will add a feel of nature to your décor without any fuss or mess. A great gift idea for anyone who's not particularly green fingered or hasn't got the time for real house plants. Each plant is made from foam and looks incredibly realistic. Sat in sturdy glass pots and filled with little stones that help finish the look. We have a great range of home gifts and accessories to choose from for friends and loved ones.